It was spread out over a few posts but now they have all gone to zero payout,I dont understand can anyone explain? Trust me, because I am addicted to steem. 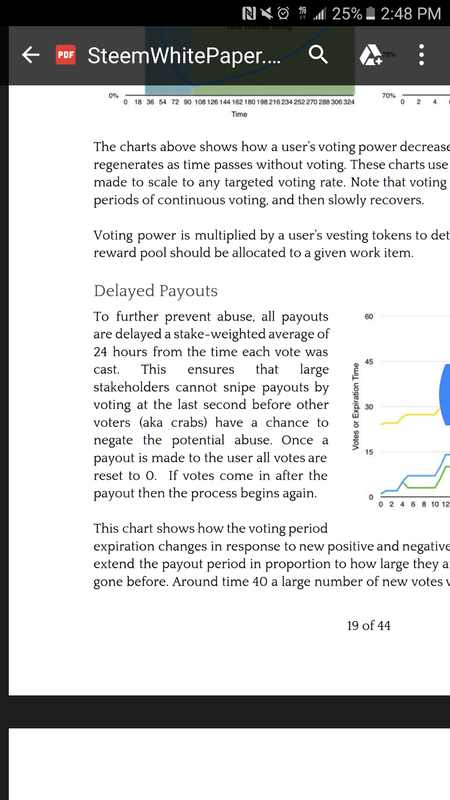 Ah the Steem whitepaper the least visited thing on the whole site,thanks very much it helps;its because it the average was taken to zero or atleast enough to cancel out the small other payouts?